Are you tired of lost revenues because your emails are landing in the Promotions or spam folder of your prospects? You spend lots of time creating ads to capture leads, crafting email copy to followup, writing enticing subject lines to get your prospects to open their emails. But, what happens if the email never reaches the inbox and lands in their spam or promotions folder? Nothing happens! Nothing happens, because your prospects are not getting your emails and that is costing your business money! Typically all you could do is request double opt-ins, follow email sending best practices and then cross your fingers…. 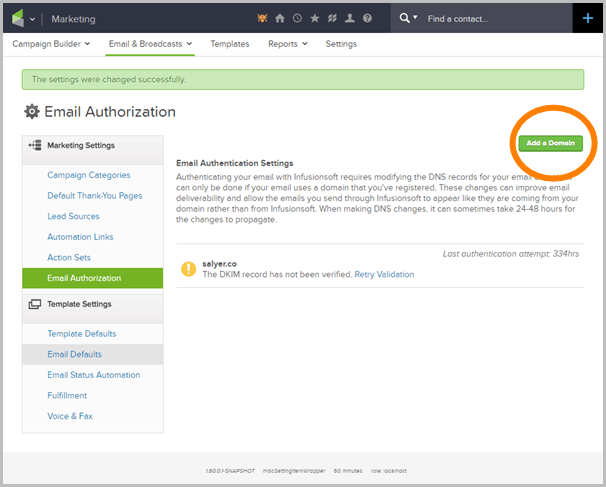 Infusionsoft has recently made an upgrade to their software allowing you to setup your own DKIM so your emails do not appear to be sent from Infusionmail, rather they will show sent from YOUR domain. This change to DKIM is a game changer for email deliverability which in turn will increase open rates, click through rates and most importantly INCREASE YOUR REVENUES. A public key is used to create a DNS record. That same key is also used to digitally sign the header of emails that are sent. When the recipient’s provider receives the email, they check the sender’s DNS records and the sender’s authenticity is validated by the matching key. The message can then be delivered to the recipient with confidence that the sender is who they claim to be. DKIM affords the greatest assurance that the sender is who they say they are and gives email providers a way to track and hold senders accountable for the messages they’re sending. As a result, deliverability of these messages is greater and inbox placement is improved. 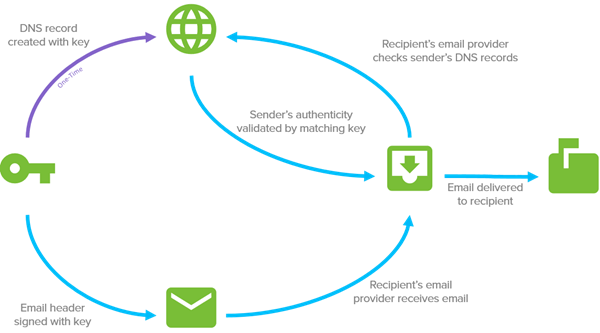 What’s special about Infusionsoft’s implementation of DKIM? Normally, implementing DKIM requires a domain owner to create public and private RSA keys which are used in the authentication process. To make it easier for you to implement DKIM, Infusionsoft has eliminated this complexity by creating these keys on your behalf. With this approach, you only need to create a CNAME record in your DNS that points back to the Infusionsoft servers, and turn on the function in your Infusionsoft account. We’ve tried to further simplify this process by providing simple, step-by-step instructions directly within your Infusionsoft account to help guide you. In the window that appears, select the domain for which you would like to create a DKIM key from the drop-down. This will populate the field in step two. Now, follow steps that appear on-screen. These instructions require you to create a CNAME entry in your DNS records. If you need assistance with this step, we recommend you contact your DNS provider for assistance because the steps may vary depending on your provider. Below are links to help articles of several common DNS providers to help you. In the last step, you’ll click the Verify button at the bottom of the window to continue. Infusionsoft will attempt to validate the CNAME record you created in your DNS. The record must be live in order for your Infusionsoft account to successfully validate it. If the record cannot be verified, wait until the Time-To-Live (TTL) settting of your DNS provider has passed, and try to validate again by clicking the Retry Validation link. Once the domain has been verified, Infusionsoft will begin using DKIM when sending emails on your behalf.